The Standing Stone: Damer House, Roscrea, Co. Tipperary. Damer House, Roscrea, Co. Tipperary. 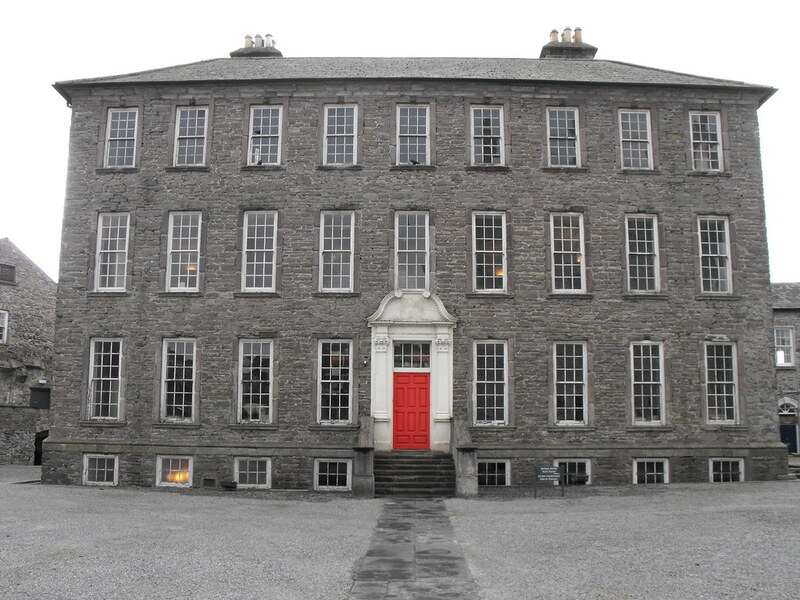 Location – In the grounds of Roscrea Castle in the centre of the town. OS: S 136 893. Description and History – Damer House is located within the curtain wall of Roscrea castle and was built in 1722 by John Damer who had recently purchased the castle grounds. The house was intended to be a family residence but it appears that the family lived there only for a brief period if at all. The house is built in the Queen Anne style and is constructed of locally sourced sandstone. In 1798 the house became a British military barracks for 110 men. In 1906 the house was turned into a school for boys (Mr French;s Academy). The Roscrea Bacon Factory tried to buy the building in the same year to convert it into a factory but their attempt was unsuccessful. In 1924 it became a sanatorium and in 1932 it reverted to being a school which became the buildings purpose until 1956. Over the next 20 years the building fell into disrepair and was scheduled for demolition in 1973. Luckily for us this was vehemently opposed buy the Old Roscrea Society and the building still stands. The building has now been mostly restored and houses many interesting exhibits. 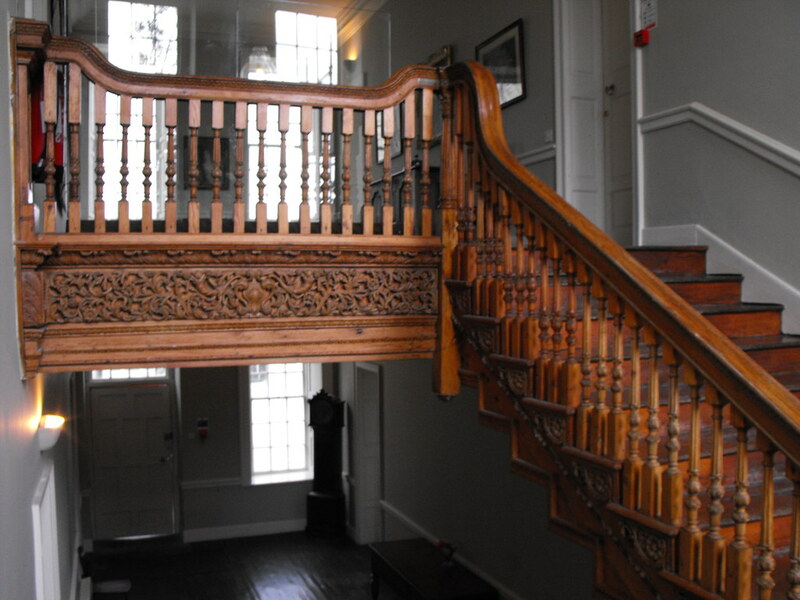 The house is three storeys high over a basement and is simple in style with a finely carved wooden staircase. 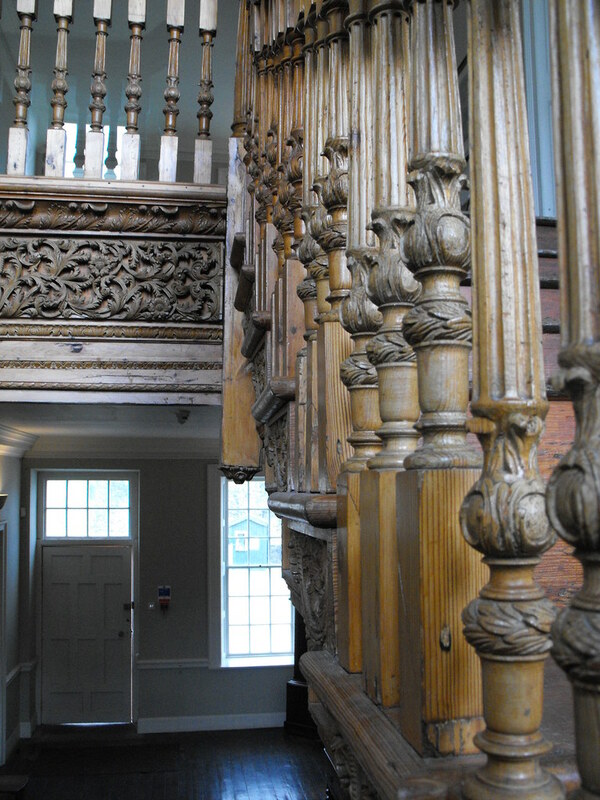 An impressive feature of the house is the doorway with its carved Corinthian capitals and scroll designs. I would suggest visiting this house after the castle and spend some time looking at the fantastic exhibits. Difficulty – Easy to find and traverse. For sites in and around Roscrea, click here.